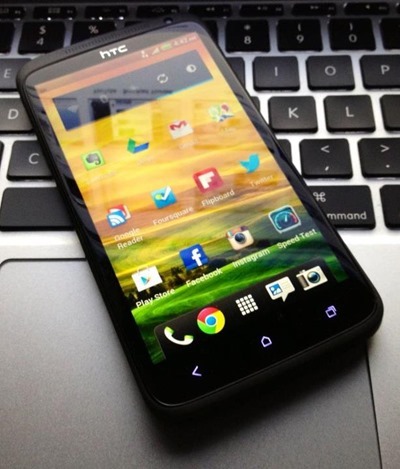 As far as high-end Android smartphones go, the HTC One X is certainly right up there. Sure, it hasn’t reached the dizzy heights of the 20+ million-selling Samsung Galaxy S III, but with a quad-core processor and a bunch of other top-notch hardware implementations, it’s certainly one of the most technically-sound Android smartphones on the market. Despite the hardware proficiency, it perhaps hasn’t manage to yield the sales units and critical acclaim it maybe should have, and according to a number of reports, the Taiwanese company has long since been plotting a so-called “super phone” to wow the audiences in the form of the One X+. Naturally, little has been revealed of the device, but an XDA Developers forum member, under the Twitter handle @Football4PDA, has posted some rather juicy details about the One X+ on Friday. He seems to believe the device will ship with a Tegra 3+ quad-core processor clocked at 1.6GHz, an 1,800 mAh battery, 1GB of RAM and a substantial 32GB of internal storage. On top of that, he also seems to think the device will pack in Sense 4.5 along with Google’s “buttery” Android 4.1 Jelly Bean mobile operating system. Earlier rumors regarding the device had suggested it would include a better battery than the One X, but as per the leak, it would seem the battery remains at the same 1,800 mAh level found in the current One X.
HTC has come under scrutiny for releasing numerous devices in an almost random fashion – crossing over different series’ and bamboozling consumers in the process. To a degree, it’s somewhat true, and although the company has pledged to simplify its range and release less devices, it has certainly found itself overshadowed by rivals in a big way, particularly Samsung. If the improved specs of the One X+ ring true, then it will certainly cause a fuss in the market, but HTC does appear to be something of a lost lamb at this point in time. Would you consider making a purchase of the One X+ based on the leaked specs? Or would you opt for the iPhone 5, Samsung ATIV S, Galaxy Note II, Lumia 920, or any other smartphone hitting the market in the next couple of months?